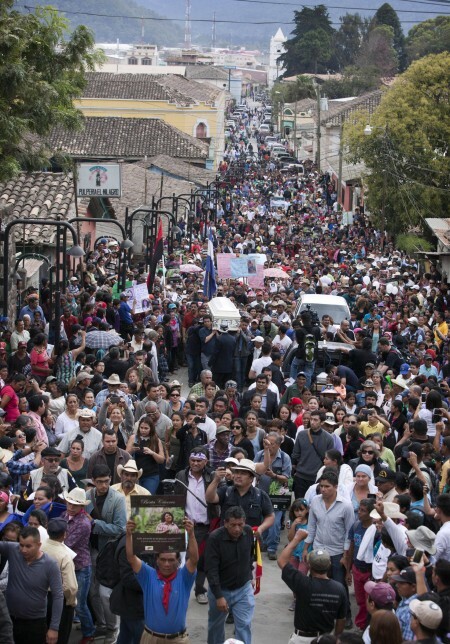 WASHINGTON (CNS) — Bertha Isabel Zuniga Caceres wants the United States to push the Honduran government to seek an independent investigation into the March 3 assassination of her mother, environmental and indigenous rights activist Berta Caceres. “We are asking for an independent commission of experts because we don’t trust the public prosecutors’ office in Honduras,” Bertha Caceres told Catholic News Service in an interview at the offices of the Center for Justice and International Law. “The goal is to put some pressure to make our voices heard, by Honduras because they’re washing their hands after the martyring of people. We want the voices of the victims to be heard by the government. They have not attended to the public request (for an investigation) made right after the assassination,” Bertha Caceres said through a translator. Berta Caceres, who founded the Council of Indigenous Peoples of Honduras in 1993, was murdered in her home in La Esperanza early March 3 in what police initially called an attempted robbery. The Lenca indigenous leader was internationally known for her opposition to the Agua Zarca hydroelectric dam on the Gualcarque River in western Honduras and, for her efforts, won the 2015 Goldman Environmental Prize, an award considered the Nobel for ecological actions. On a whirlwind four-day visit to the nation’s capital, Bertha met with human rights groups and was to join vigils April 5 at the World Bank and the Inter-American Commission on Human Rights to remember Berta Caceres and reiterate the call for an independent investigation. The human rights commission raised concerns about Berta Caceres’ safety with Honduran President Juan Orlando Hernandez in 2015 and called on the government to take “precautionary measures” to protect her. Bertha Caceres charged that investigators had “altered the scene of the crime.” She also criticized the detention of environmental activist Gustavo Castro Soto, who witnessed the assassination. Soto, who was shot twice during the attack, was released from Honduran custody April 1 and returned to Mexico. The soft-spoken Bertha Caceres noted that her family received a letter of condolence from the Vatican after her mother’s death, but that they have heard nothing from the Honduran Catholic Church. “The church, in the person of Cardinal Oscar Rodriguez Maradiaga, has had a terrible role in response to the struggle of the Lenca people,” she said. 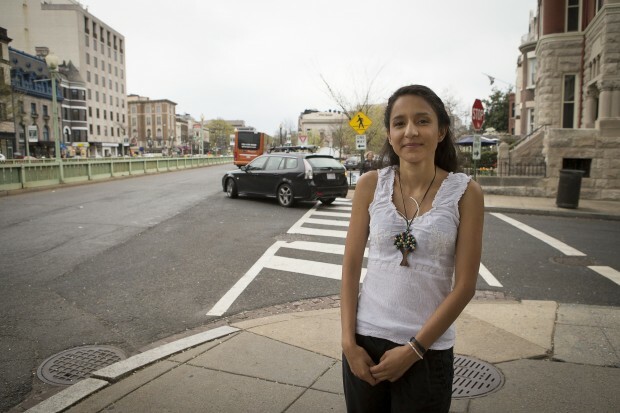 Bertha Caceres’ sister, Laura Zuniga Caceres, was in Washington for a March 23 congressional briefing on the assassination and threats to activists. She said her mother had received 33 threats between 2013 and 2016 related to her opposition to the hydroelectric project. Since Berta Caceres’ death more than 60 members of Congress have asked Secretary of State John Kerry to review security aid to Honduras and to seek an investigation into the deaths of Honduran environmental and human rights leaders.